I meant to plant this at the beginning of October. Out of all the factors that cause garlic failure, rot is the most responsible. As the farm received an extraordinary amount of rain around that time, garlic planting was postponed. Then I got very busy as the slowdown of posts on this blog indicates. 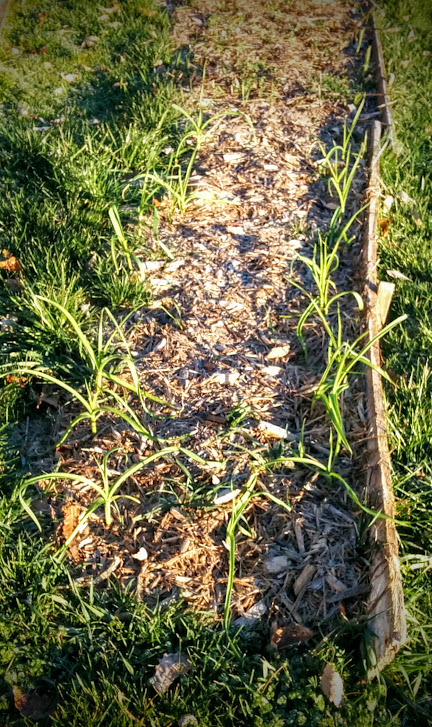 Garlic just fell off the to-do list until it was finally planted at the beginning of November. 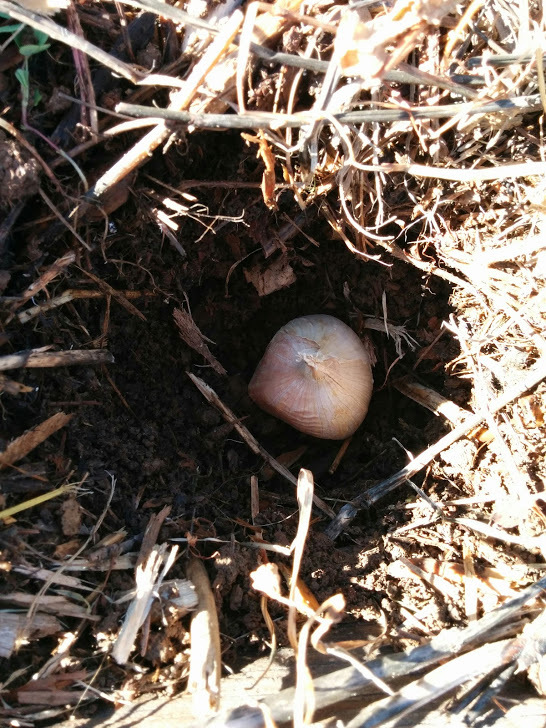 Individual garlic cloves are planted in the fall where they begin root growth. During the following spring, green top growth takes place yielding a full bulb in summer. At this point, most garlic varieties will taste similar. Differences are developed as the bulbs cure. When the time comes, I will post on the harvest and curing process in greater depth. 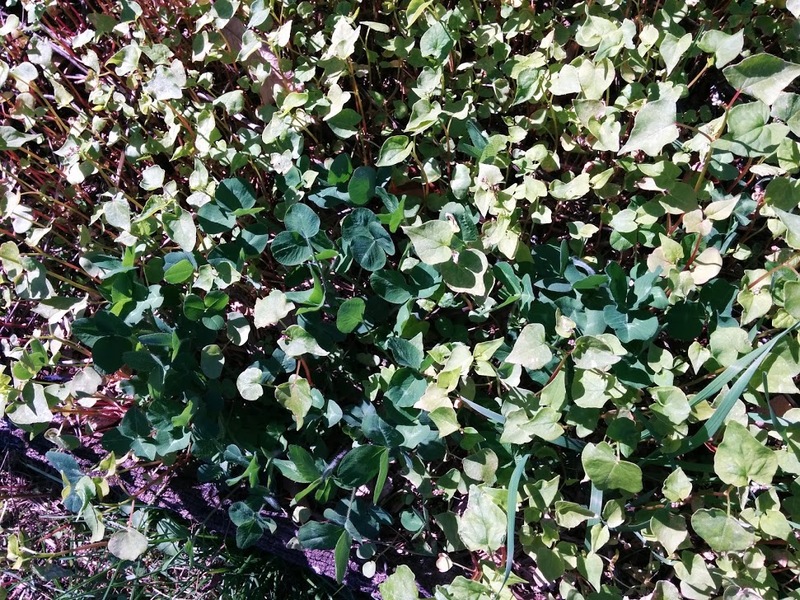 Variety selection and pest deterring uses are covered in this previous post. Some recommend to pull the cloves apart from the bulb to be stored in a paper bag for 2 days before planting. I just yank them apart and put them straight into the ground. However, do your best to keep the papery covering around the cloves intact! I photographed the process thinking the immense size of my amazon-sourced Elephant garlic would help to demonstrate the process. 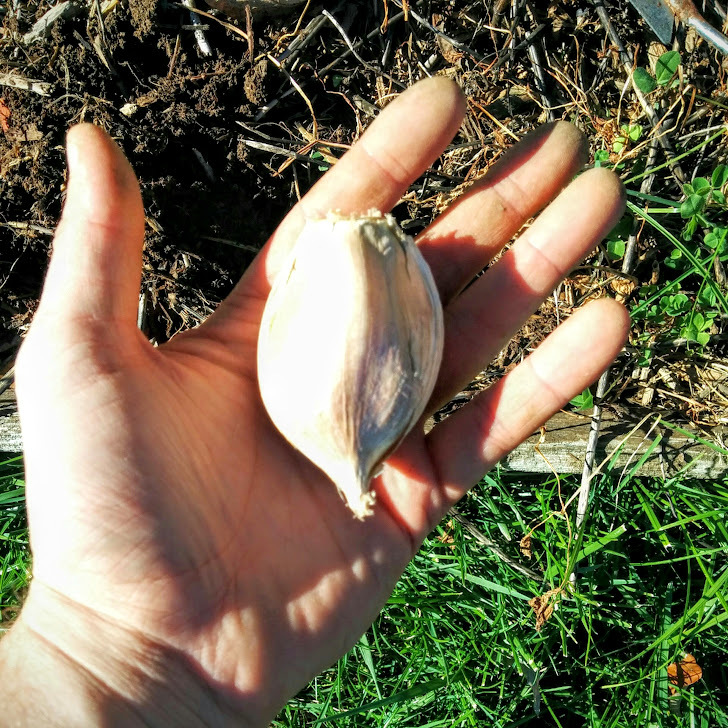 Now I realize the single clove is the size of most entire bulbs of garlic and could introduce some confusion as well as change the needed planting dimensions. Oh well, I’ll re-do this next year will appropriate sized bulbs. Shifting scientific consensus are fascinating trends to follow. Mounting Evidence Suggests Early Agriculture Staved Off Global Cooling published in the University of Virginia’s UVAToday demonstrates that exact type of change. After analyzing ice core samples for carbon dioxide levels as well as pollen deposits, researchers have found that agriculture first started affecting global climate 7,000 years ago by preventing the expected cooling cycle. Beginning 7,000 years ago, carbon dioxide levels began rising. The author attributes this to slash and burn techniques of clearing land for farming. Beginning 5,000 years ago, methane levels started rising which coincides with large scale rice production. My assumption is the flooding of rice paddocks caused anaerobic decomposition conditions resulting in the release of large quantities of methane which is a greenhouse gas four times as potent as carbon dioxide. The author also states that domestication of ruminants could also be a factor or it could be a combination of both rice and ruminant husbandry practices. After 12 years of debate, the consensus is shifting to agriculture being the main cause for staving off expected cooling trends. Samarrai, Fariss. “Mounting Evidence Suggests Early Agriculture Staved Off Global Cooling.” UVA Today. University of Virginia, 15 Jan. 2016. Web. 22 Jan. 2016. I need to write a post on a relevant and absolutely eye-opening article published in Acres USA magazine about using soils to bank carbon. The interviewee is phD in soil sciences that explains the only way to build carbon (organic matter) permanently in soils is to keep plant roots pumping sugar into the soils to feed the symbiotic mycorrhizal fungi then leaving the soils undisturbed so the fragile humic globules are not destroyed. 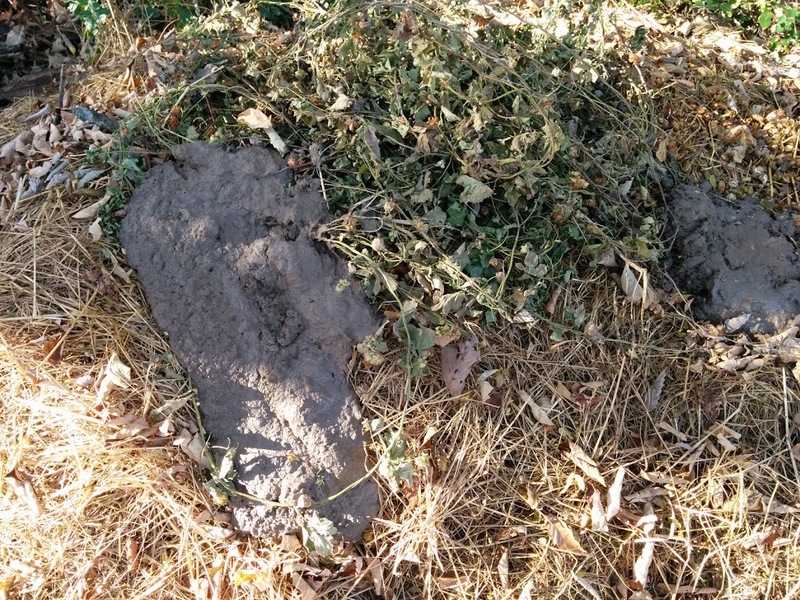 She asserts that all carbon from compost will eventually oxidize into carbon dioxide if plants do not constantly utilize those products of decomposition. Same goes for nitrogen in the form of off-gassing ammonia. 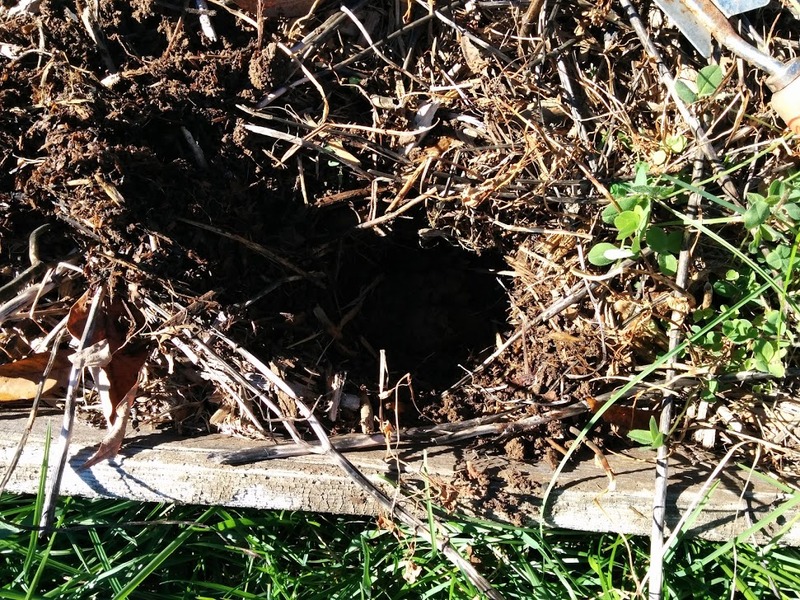 Previously, spent wood ashes from making own lye were disposed of into the compost pile. After digging into the new book, The Humanure Handbook, no substance that significantly alters pH including liming agents (eg: agricultural lime, wood ashes; sulphur on the other end of the pH scale) should be added to the pile. Instead, these substance should be added directly to the soil and can be added at the same time as compost. The issue lies in how the pH affects the microbes responsible for the process of active composting. Thus I would see no problem with ashes being added to entirely mature compost once the biological processes have terminated. In fact, the book presents a finding that liming agents as well as other soil amendments like acidifiers and fertilizers are more fully utilized and reach deeper into soils that have been dressed with compost compared to untreated soils. The author asserts that increased organic matter is like responsible for the observations. 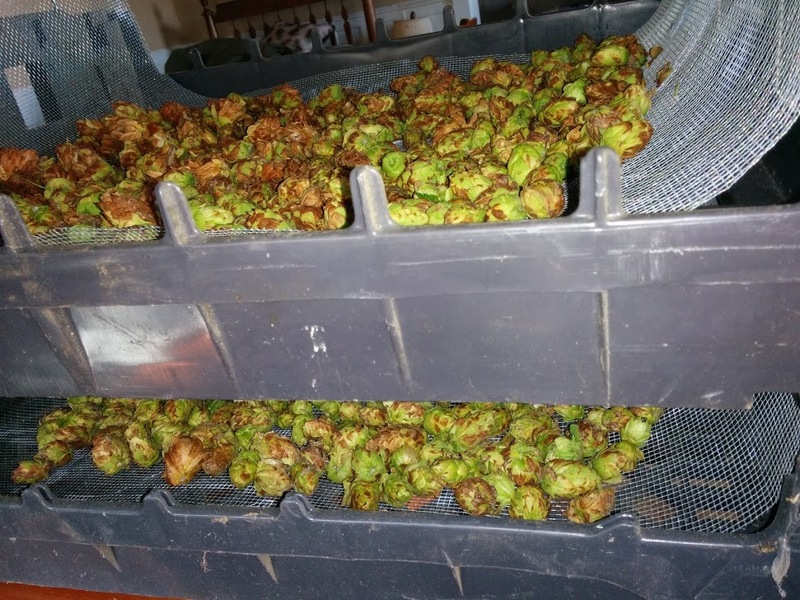 Composting any organic scraps from paper to veggie peelings to bones (and yes, human manure but we can take steps one at a time!) is an easy way one can take to lessen their environmental impact and keep precious nutrients from be lost forever to the anaerobic landfill. That compost can help any plant from lawns to veggies to potted houseplants to landscaping plants and everything in between!